There are always new recipes to try, but you'll always feel at home with these classic ones. Christmas traditions have evolved over the past years. Before, these were just attending family reunions over at Lola's house, and spending countless hours in the kitchen whipping up noche buena meals, to name a few. Now, there's reunion over Skype or Facetime, online shopping for gifts, and ready-to-order potluck meals. Balikbayans especially can't help noticing these changes. They wonder if they can still relive their best memories of Christmas in the Philippines and get to enjoy their favorite Filipino dishes during reunions. Here are five dishes that can make the balikbayans say, "Kaya ang sarap umuwi tuwing Pasko!" This salad can be an alternative for the lolos and lolas, titos and titas who try to keep their consumption of sweets to a minimum but wouldn't want to miss out on a creamy festive treat. 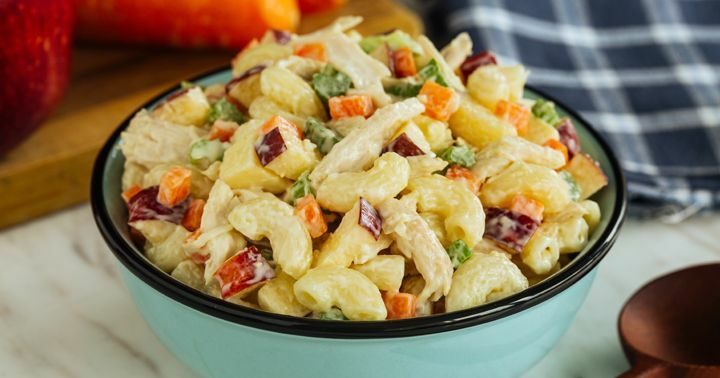 Simply toss together macaroni, chicken flakes, diced carrots, chopped celery, and raisins. For the dressing, use NESTLÉ All Purpose Cream. See how it coats each bit of ingredient with its creamy goodness, making every bite so scrumptious. What's a feast without lechon? 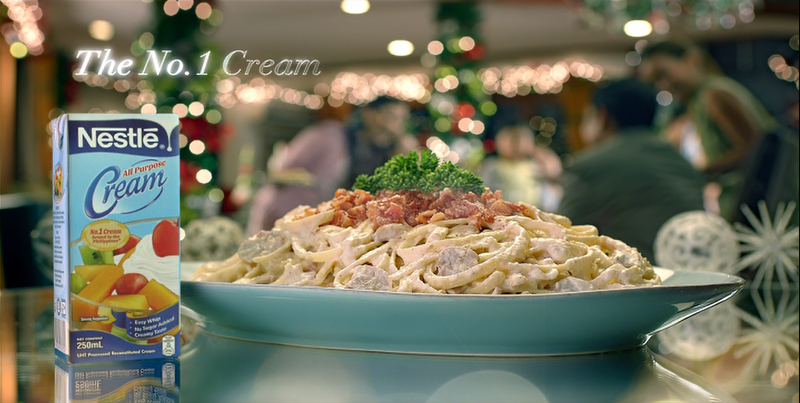 This year, enjoy it with a different kind of sarsa: made from olive oil, liver spread, and NESTLÉ All Purpose Cream. 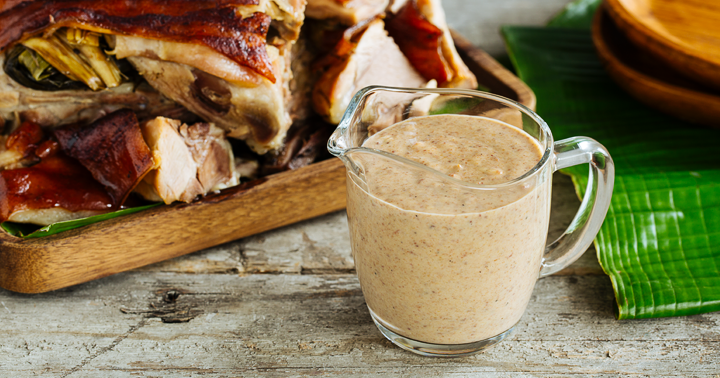 This sauce goes well with any kind of lechon. Can't decide whether to serve white or red sauce? Why not have both and balance the tanginess of the tomato sauce with cream? Kids will enjoy this! 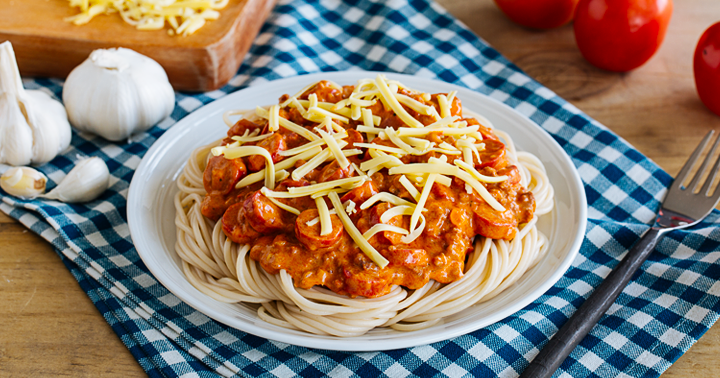 What distinguishes the Pinoy style of cooking this pasta dish from the original Italian version is that Filipinos usually like the sauce thick, rich, and quickly absorbed by the pasta. Topped with ham or bacon bits and some grated cheddar and Parmesan cheese, this dish completes the Christmas feast. As the signature dessert for Christmas celebrations, this colorful dish is a hit in any family gathering. Some like their fruit salad with cheese or yogurt, but combining fresh fruits, such as kiwis and strawberries, fruit cocktail, and nata de coco with NESTLÉ All Purpose Cream is a classic. 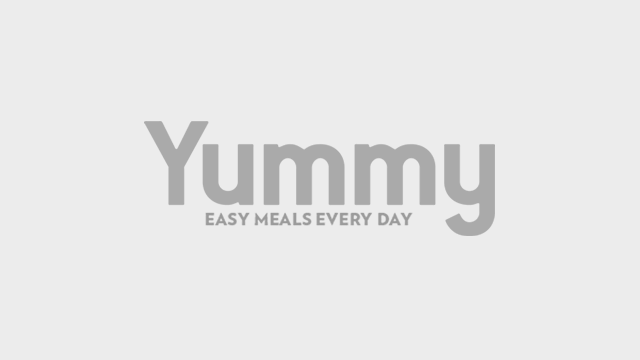 From desserts, to pastas and sauces for your holiday gatherings and reunions, always use the No. 1 Cream, NESTLÉ All Purpose Cream. Be inspired to whip up more creamy recipes by visiting www.createwithcream.ph. This article was created by Summit StoryLabs in partnership with a Sponsor. How Much Do You Need To Pay For Your Starbucks Drinks After the Price Increase? Do You Know The Story Behind The Black Forest Cake?